The on-demand delivery healthcare start-up Pluss will use the capital raised for the business expansion, technology upgradation and aggressive marketing. 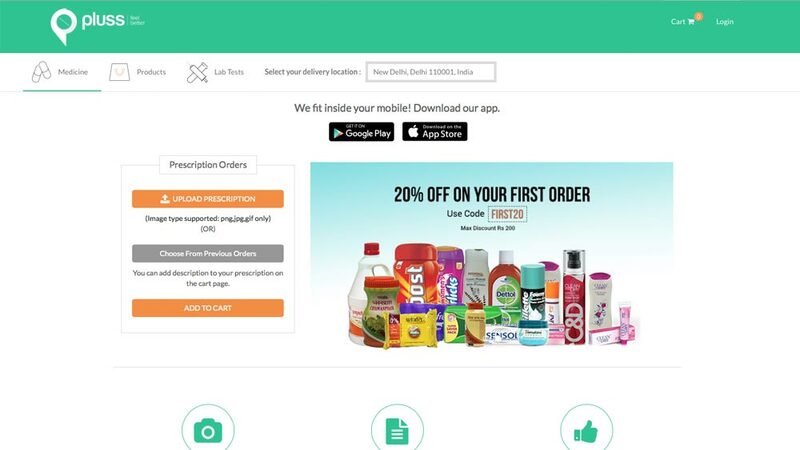 Gurgaon-based on-demand medicine and healthcare products delivery service- Pluss has raised $1 million in pre-Series A funding from IDG Ventures India, m & s partners (Singapore) and Powerhouse Ventures (USA). The start-up ensures timely delivery of medicines and products to the doorstep of the consumers. The funding amount will be used to upgrade its technology and technical team, perform aggressive marketing, and establish a presence in 5 cities and pilot new projects. Based out of Gurgaon, Pluss was incorporated in 2015 by Atit Jain, Madhulika Pandey and Tarun Lawadia after witnessing the country's largely unorganised health care industry, which is worth billions of dollars. In a country where everything, including groceries and food, is delivered at the doorstep in a short span of time, the problem of timely medicine delivery remained unsolved. Through their own fleet of delivery executives, proudly named as ‘Pluss Men’, the start-up took the responsibility of fulfilling the orders on time. The team, comprising of licensed pharmacists and trained delivery executives, is equipped to handle medicine properly and make sure that they are delivered with utmost care. “Pharmacy retail is highly dis-organized in India. The technology platform lends itself with an audit trail and will be better placed to meet the compliances as they evolve. IDGVI is very excited to partner with Pluss to address this huge opportunity” said Ranjith Menon, Executive Director at IDG Ventures India Advisors. The app subscriber base has grown more than 50% month on month and has tripled in the last 3 months. The app order volume has grown 4 times since September with peak traffic of 500 orders per day. By the end of this year it plans to add a lot more to its product categories, including Medical Tests and Surgical Equipment. With the health products market expected to grow at a CAGR of 15 per cent and touch $158.2 Billion in 2017, Pluss has placed a bet on hyper local delivery, envisioning emerging as India's reigning name in the healthcare sector. Nightingales brings home oral care..